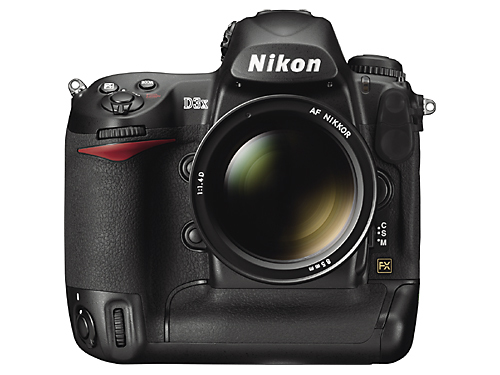 Nikon has announced the D3x, its newest full frame professional DSLR. 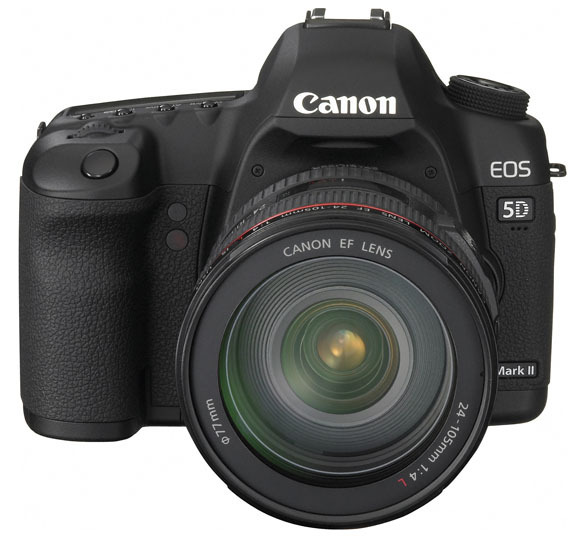 With 24.5 megapixel sensor the D3x has double the resolution of the sports / news oriented D3 model. The Nikon D3x aimed at commercial, high fashion, fine art and landscape photographers, features an all-new 24.5-megapixel (6048 x 4032) CMOS sensor, ISO range of 100 – 1600 extendable up to 6400 (equivalent) and down to ISO 50 (equivalent), 5 fps shooting, 920,000 dot 3 inch VGA LCD monitor with Live View, 51-point autofocus, EXPEED image processing and HDMI output. 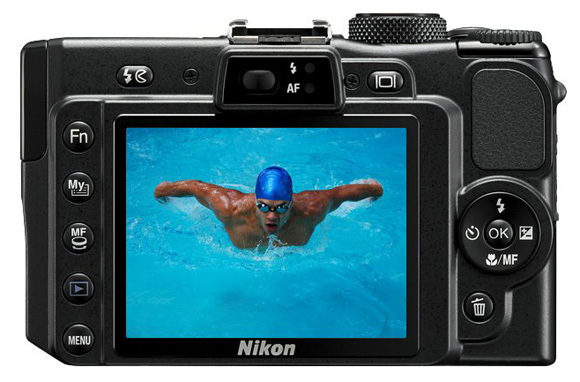 24.5 megapixel FX format CMOS sensor with high signal-to-noise ratio, wide dynamic range and 12-channel readout. 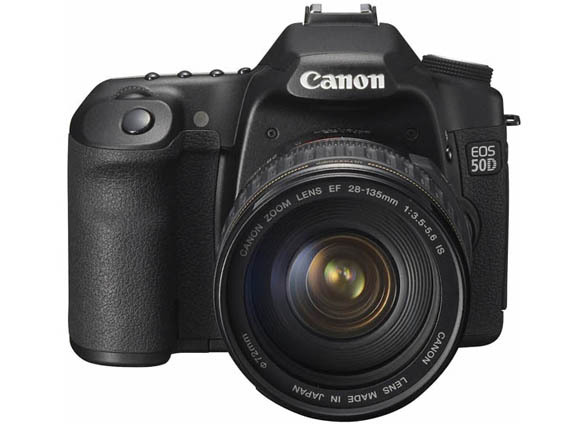 ISO 100 – 1600: extendable up to 6400 (equivalent) and down to ISO 50 (equivalent). EXPEED image processing engine with 14-bit A/D conversion and 16-bit image processing for superb tonal gradation. 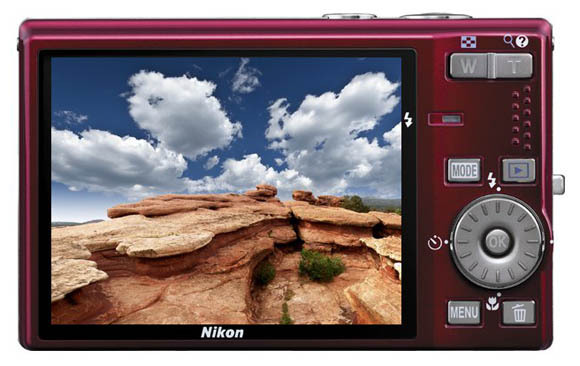 Advanced Scene Recognition System combines the camera’s metering and AF sensors for precise exposures and sharply defined images. Multi-CAM3500FX 51-point AF system. Individually selectable or configurable in 9-point, 21-point and 51-point coverage settings. Picture Controls streamline in-camera image processing by enabling customization of image parameters before capture and offer complete control over sharpening, contrast, brightness, hue and saturation in various color modes. 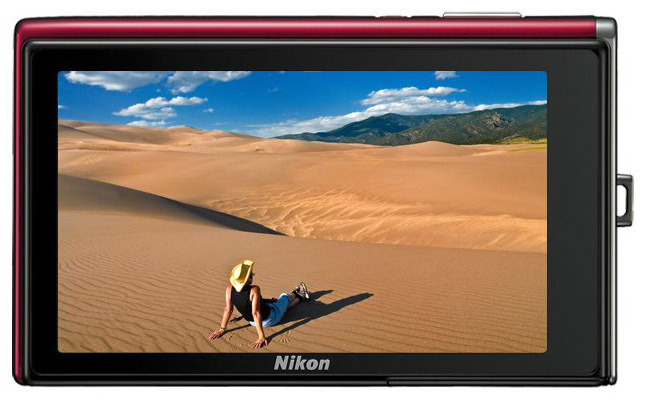 920,000-dot 3-inch VGA LCD monitor with wide, 170-degree viewing angle. 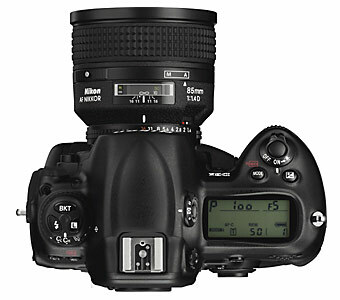 Live View with Autofocus enables composition of images using the LCD monitor. 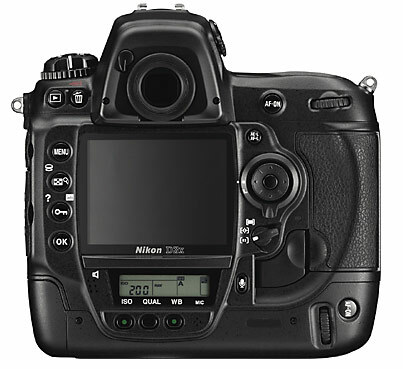 Two modes are supported: Handheld or Tripod. Two Crop Modes: DX format and 5:4 ratio. 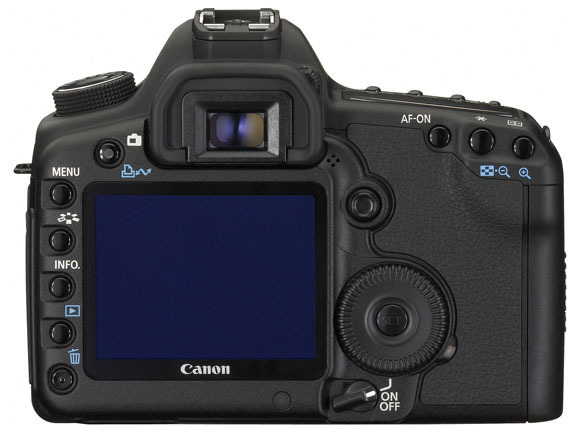 The DX crop mode can be automatically enabled when a DX lens is attached. Quick response: approx. 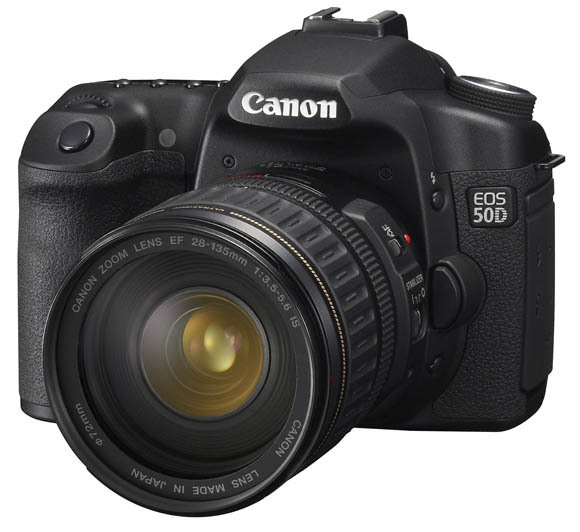 40 ms shutter-lag and 55 ms viewfinder black-out. 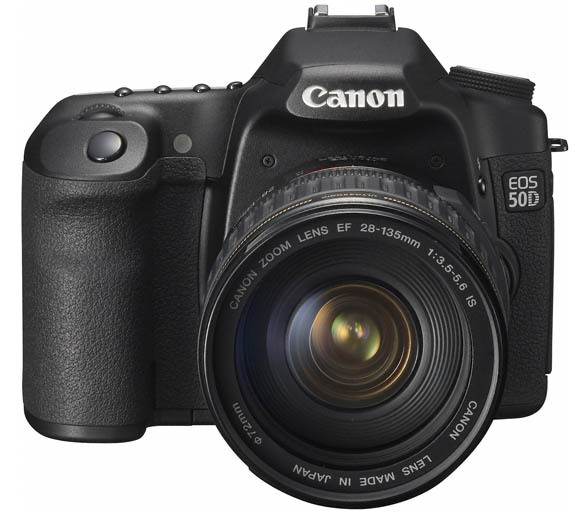 Highly accurate, durable Kevlar/carbon fiber-composite shutter unit: Standard rating of 300, 000 cycles, with a maximum shutter speed of 1/8,000 sec and flash synchronization at up to 1/250 sec. Active D-Lighting enables superior high-contrast images by automatically applying tone compensation at the moment of capture. Dual CF card slots: configurable for parallel (simultaneous) or serial (consecutive) recording. HDMI video output interface enables connection to high-definition video systems. Intuitive ergonomics with optimized button placement for fast and comfortable handling. Durable magnesium alloy body built to withstand the rigors of the harshest of environments. Wireless LAN and Ethernet support via optional Wireless Transmitter WT-4. 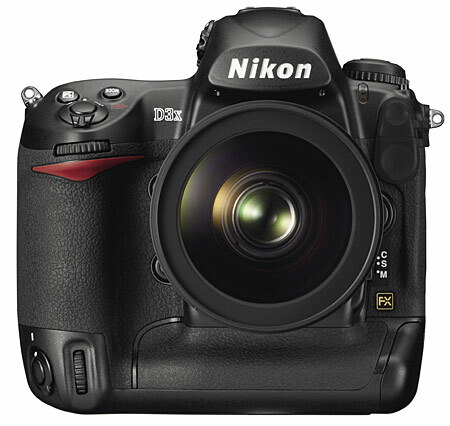 The Nikon D3X will be available at Nikon Authorized Professional Dealers starting December 2008, and will be available for an estimated selling price of $7999.95. 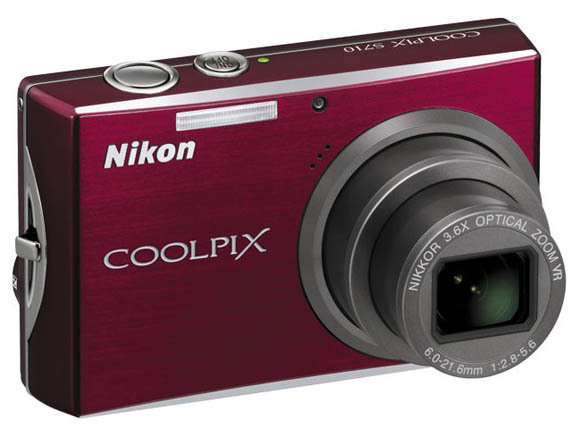 This entry was posted in Digital Cameras, News, Nikon and tagged Nikon D3X on December 1, 2008 by jonathanb. 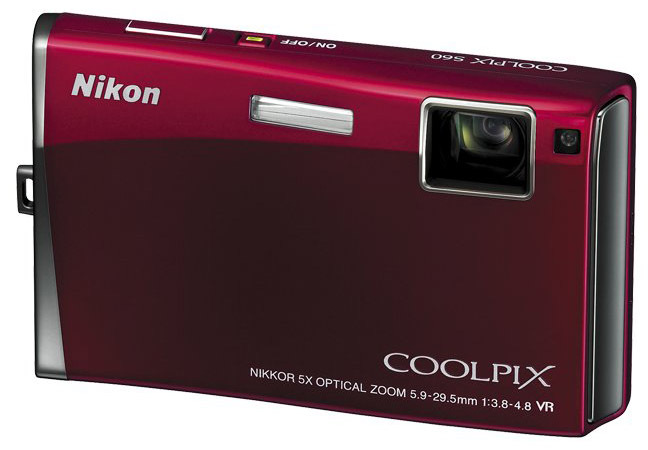 The Nikon CoolPix P6000 is a 13.5 megapixel camera with a NIKKOR 4x zoom lens (35mm  film format equivalent: 28 – 112mm). 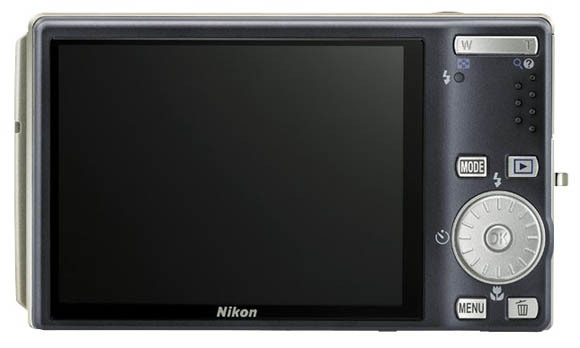 The Nikon P6000 also features a 2.7″ LCD monitor (230,000 pixels), ISO 64 – 1600 at full resolution (3200 and 6400 at three megapixels), NRW RAW format, and built-in global positioning system (GPS) receiver that records the exact location (latitude and longitude) where a picture was taken as ‘geotags’ in the image data. 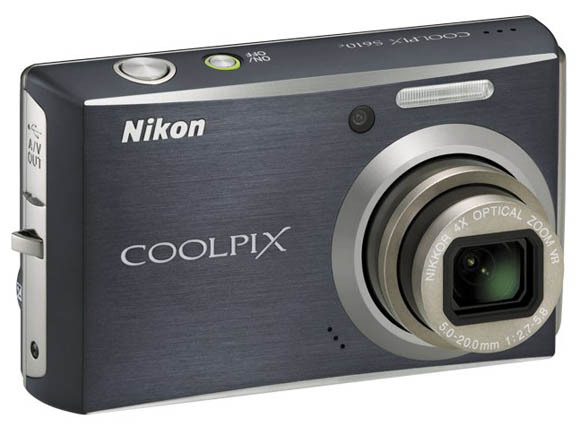 It also comes with the EXPEED image processing system, external flash option, and wired lan port. This entry was posted in Digital Cameras, Nikon and tagged Nikon, Nikon Collpix P6000, Nikon P6000 on August 10, 2008 by jonathanb. 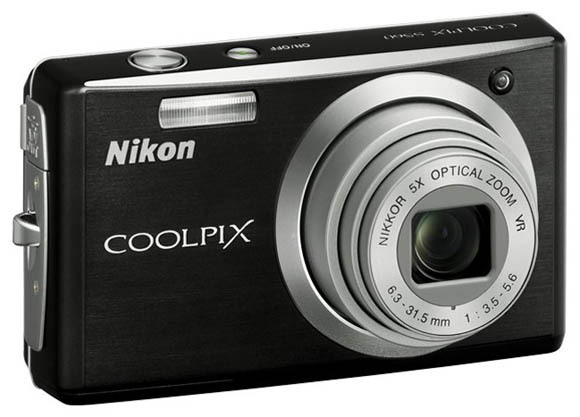 The Nikon Coolpix S610 and S610c are 10 megapixel point and shoot digital cameras with the worlds fastest start up time for cameras of this calss. 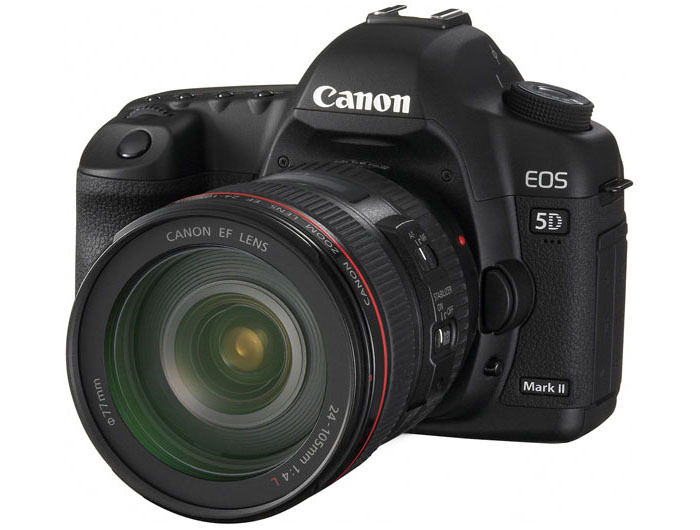 They feature a 3 inch high resolution LCD monitor, a wide angle 4x optical zoom lens, optical image stabilisation and smile and blink detection. The S610c also ads wifi support. 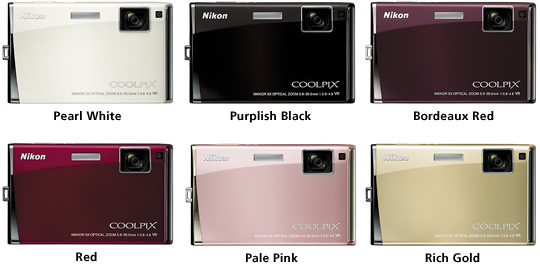 They are available in Smoke Grey, Deep Red and Midnight Black. This entry was posted in Digital Cameras, Nikon and tagged Nikon, Nikon Coolpix, Nikon Coolpix S610 on August 10, 2008 by jonathanb. 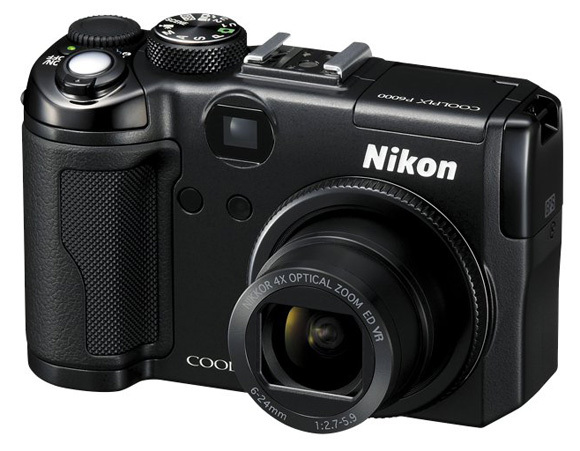 The Nikon Coolpix S560 is a sleek 10 megapixel camera that packs a wealth of advanced functions into the most compact body in the world for its class. 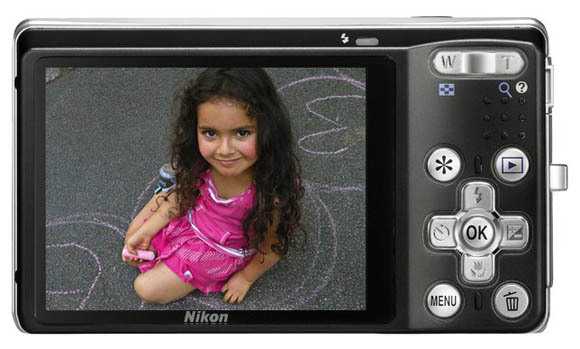 The S560 features a 5x optical zoom with optical vibration reduction, 2.7″ screen, ISO3200 (at 3mp), as well as face, smile and blink detection. This entry was posted in Digital Cameras, Nikon and tagged Nikon, Nikon Coolpix, Nikon Coolpix S560 on August 10, 2008 by jonathanb.